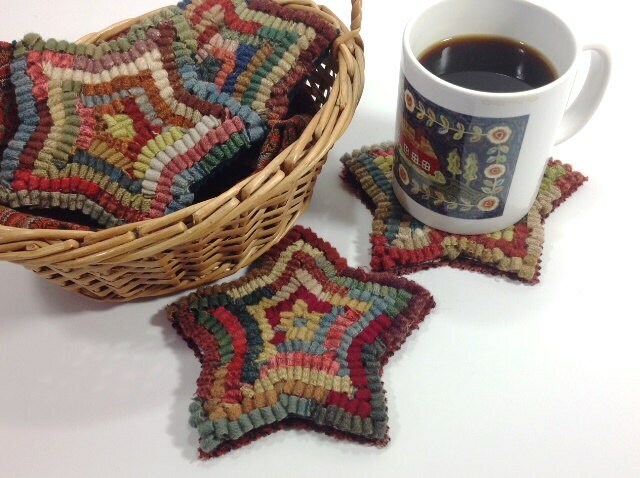 This listing is for the rug hooking pattern "Star Mug Rugs" on your choice of cotton monks cloth or primitive linen. This is for the PATTERN ONLY, not the finished mats. You will receive a 4 x 6 photo with purchase along with instructions on how to finish them after hooking. This pattern does not come with instructions on how to hook. Each of these four stars measure approximately 5" in diameter. 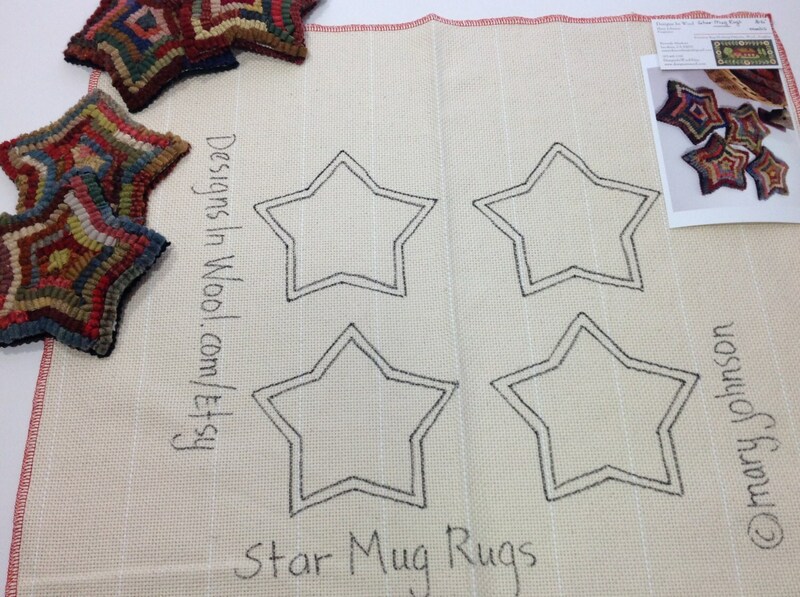 I hand draw four stars on a 20" x 20" foundation fabric, it fit on most rug hooking lap frames or in a sturdy 14" hoop. 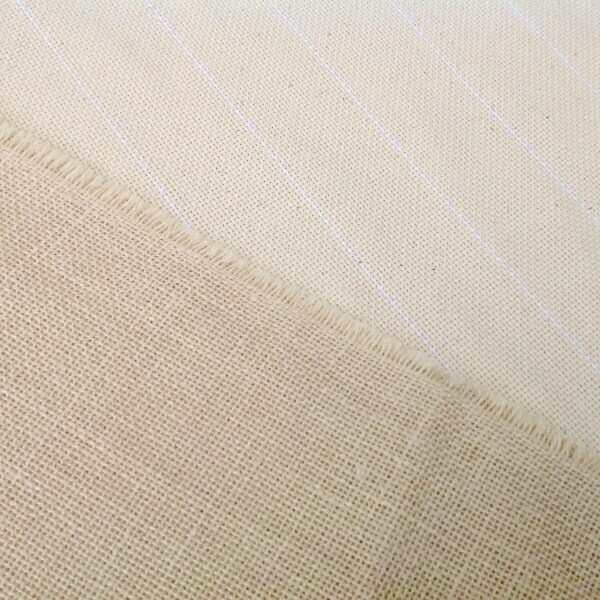 The raw edges of the fabric have been serged to help prevent raveling while hooking. The finished samples in the photos give you an idea of how I hooked them. 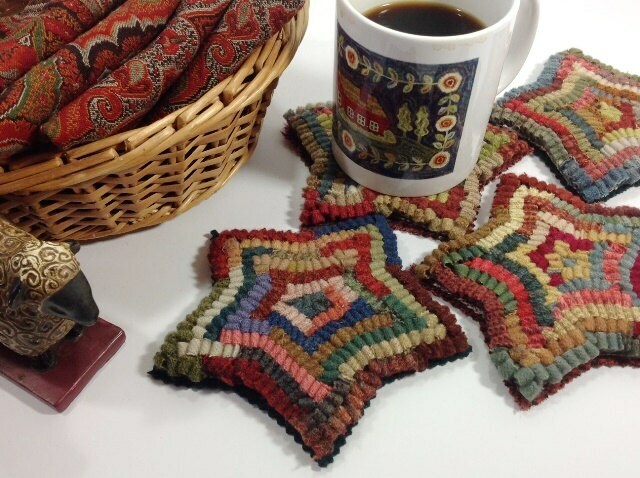 I searched through my "noodles" basket and chose my favorite country primitive colors. They would be equally sweet in pastels, colors to match your decor or Holiday colors. Great pattern and perfect transaction! I love this pattern and maybe since its small I can actually get it done. I really love this pattern! Can't wait to make these for my Mom's birthday!